OKLAHOMA CITY (AP) – Charges have been dismissed against two former Oklahoma County jailers accused in the death of an inmate whom they shot with pepper balls. Brian Harrison and Colton Ray shot Charlton Chrisman with more than a dozen pepper balls when he tried to escape after flooding his cell in April 2017. An autopsy concluded the 40-year-old inmate died of “agitated delirium due to acute methamphetamine intoxication” and that the pepper ball injuries were a contributing factor. Court records show a judge on Thursday dismissed felony charges of assault and battery with a dangerous weapon against Harrison and Ray. 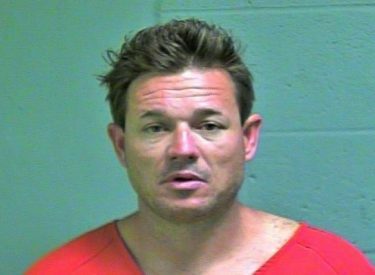 District Attorney David Prater told The Oklahoman he has new information about the case that needs further investigation.